This month’s Alert examines the IRS’ recent release of instructions regarding how to ensure portability of the applicable exclusion amount at the death of the first spouse. Many surviving spouses may see an estate tax return at the death of the first spouse to be unnecessary. This alert shows why advisors should document that they advised the filing of an estate tax return.The executor of the estate of a married decedent dying in 2011 and 2012 can carry forward the unused portion of the amount that the deceased spouse could have passed free of estate tax. The amount carried forward then may be used later by the surviving spouse. For example, a decedent dying in 2011 can pass $5 million free of estate tax (assuming the decedent did not use any of this exclusion in making lifetime gifts). If the value of the decedent’s estate is $2 million, the executor could elect to carry forward the remaining $3 million for later use by the surviving spouse. The unused amount is known as the “Deceased Spousal Unused Exemption Amount” or DSUEA. The surviving spouse would then have an applicable exclusion of $8 million, consisting of his or her own $5 million exclusion, plus the $3 DSUEA from the deceased spouse.The IRS recently released instructions for Form 706, the federal estate tax return, on how to make this portability election for the DSUEA.For decedents dying in 2011 and 2012, whose executor wishes to make the DSUEA portability election, the executor is considered to have made such DSUEA election by simply filing a timely and complete Form 706. The IRS neither provides a box to check indicating the election is being made nor requires a separate statement to be attached to the return indicating that the executor is electing to take advantage of the portability option. In other words, if you want to elect portability, simply file the estate tax return. If, however, the executor is filing an estate tax return and does not wish to elect to carry forward the DSUEA for later use by the surviving spouse, they must attach a statement to the return stating that fact or write across the top of page 1 of the return “No Election under Section 2010(c)(5).” If an estate tax return is not otherwise required to be filed (which would usually be the case because of the $5 million applicable exclusion amount) the failure to file a timely and complete Form 706 will prohibit the surviving spouse’s use of the DSUEA. The IRS has not indicated any plans to create a simplified version of Form 706, for those wishing to file solely to make the portability “election.” Many commentators have expressed concern that surviving spouses might be reluctant to file an estate tax return merely to take advantage of the portability election. Spouses may fear the cost, hassle, and potential exposure of filing anything with the IRS. Because the executor has the sole discretion whether to make this election, it would be wise for financial advisors, CPAs, estate planning attorneys, or others who advise the executor and/or surviving spouse, to document the executor’s decision not to file a timely estate tax return and have the executor acknowledge it in writing. This will minimize the possibility of later accusations from the beneficiaries regarding the advisors’ failure to properly advise the executor and/or surviving spouse when he or she later dies without the availability of the DSUEA. If the surviving spouse dies in 2011 or 2012, the executor must attach a copy of the predeceased spouse’s Form 706 and a calculation of the DSUEA. They will then add the DSUEA to the decedent’s basic exclusion amount and enter the tentative tax on that sum as the Maximum Unified Credit on page 1 of Form 706. The executor must also complete Part 4 of page 2 of Form 706 and indicate on the explanation line that the executor of the predeceased spouse elected to allow the decedent to use the DSUEA. Regardless of whether the DSUEA election is made, if the decedent had more than one marriage, the executor should provide the name and Social Security Number of each former spouse and specify whether the marriage ended in annulment, divorce, or death. While Congress intended the portability provision to simplify the drafting of an estate plan for an “average” taxpayer, many problems remain. An executor who fails to file an estate tax return upon the death of the first spouse, when one would not have been needed in the past, may have liability for the failure to do so. This may lead to the filing of many more estate tax returns than in the past. In addition, much uncertainty exists as to whether these portability provisions will still be around when the current tax law expires at the end of 2012. Finally, the portability provisions in the current law do not apply to the generation skipping transfer tax, so portability is not a viable planning option for those individuals who desire to leave some or all of their estates to younger generations (often referred to as GST planning or dynasty planning). Our law firm focuses its practice on all areas of estate planning and the administration of trusts and estates, including post-mortem planning. 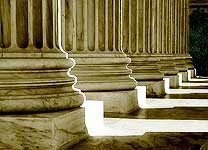 As a member of the exclusive nationwide group of estate planning attorneys, the American Academy of Estate Planning Attorneys (www.aaepa.com), the attorneys at our law firm are kept up-to-date on the latest tax developments as they occur and we receive continuing legal education regarding how to effectively plan for these law changes. You can take advantage of our specialized knowledge of estate planning and administration by scheduling a free consultation with one of our attorneys for yourself or one of your clients by calling or visiting our website.